Here is an order I had a few weeks ago. 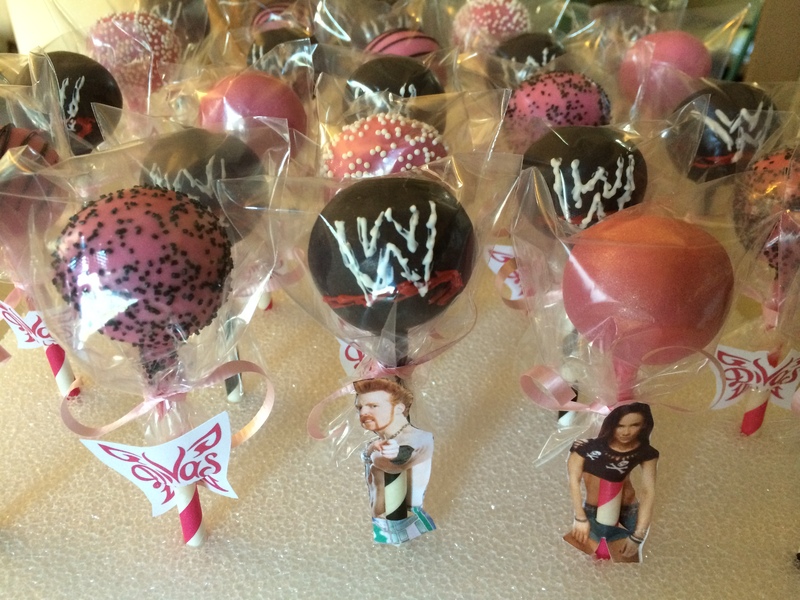 I know NOTHING about wresting, but I liked the the combination of WWE male wrestlers with the Divas in the cakepops. I know that the sisters were on Ridiculousness once on MTV too. 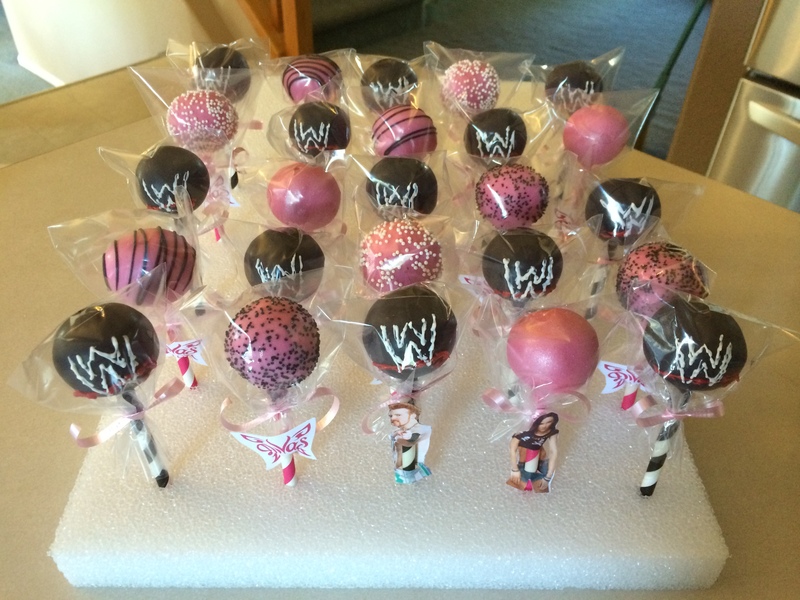 Anyway, I used the birthday girl’s favorite wrestlers on the sticks, as well as the Diva’s logo because it was too hard to draw. I had a hard enough time making the WWE have the squiggly look. It’s hard trying to make something look not straight and perfect–not that my straight lines are all that straight either!